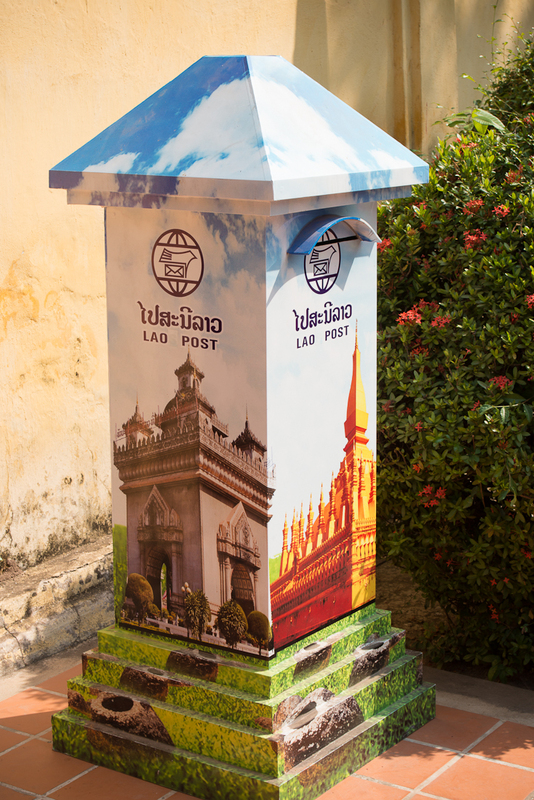 I’ve just finished downloading the last of my photos from Vientiane, and found a few more to illustrate what I thought in my last post, about how the best way to see a new city is to just walk around it, and perhaps stumble upon some oddity. 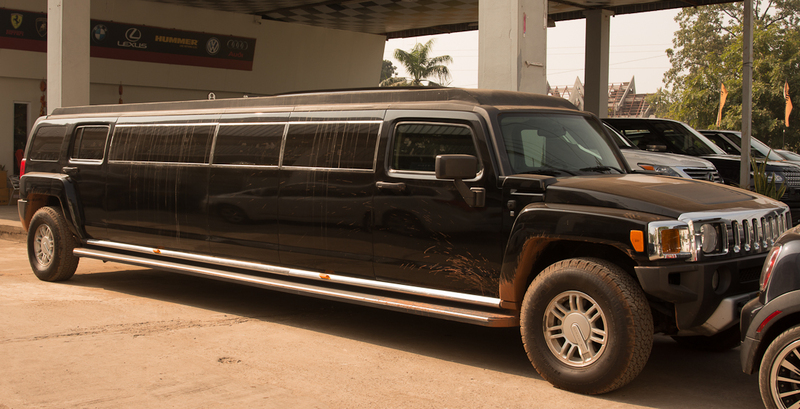 I never imagined that I would find a stretched limo in Vientiane, but this was in a car yard near my hotel. excuse me, but there are lions on your roof ! 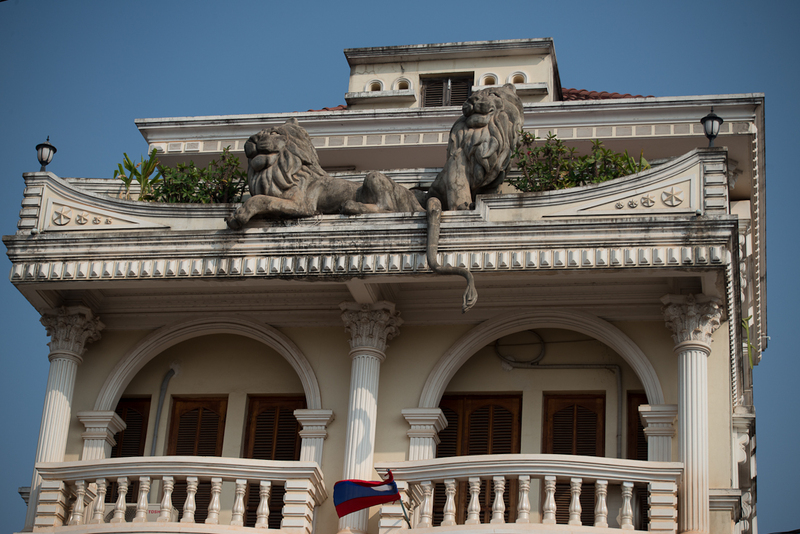 Also near my hotel was this house with a couple of concrete lions perched upstairs ! There is no accounting for some peoples’ taste in home décor ! Is n’t this better than boring old red mail boxes ? 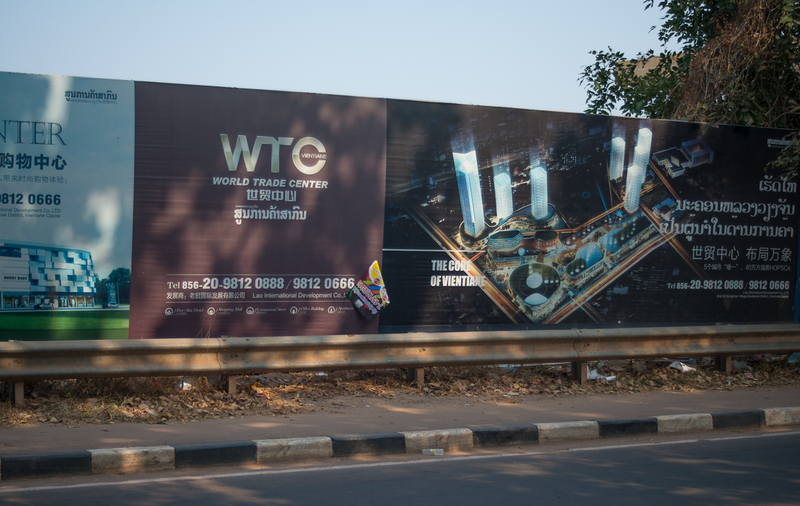 On the edge of Vientiane’s city centre is a large, very large, building site which apparently is going to be Vientiane’s “World Trade Center”, complete with skyscraper hotels, apartments and offices, shopping malls (with 7/11,starbucks, Versace, etc according to the artists impressions) and sports stadium. I just cannot imagine all this in laid-back Laos, but construction is under way so if you want to see Laos as it is now then best you get here in the next couple of years perhaps. I guess that is progress for you ? Have you ever come across a supporter of your favourite sports team in the most unlikely place ? 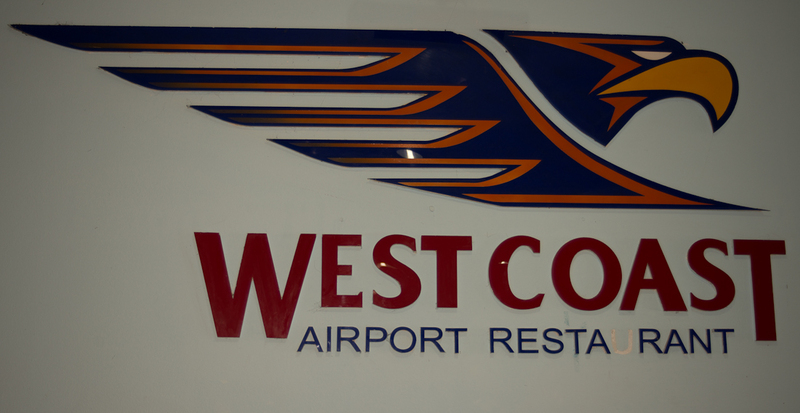 I’m guessing that the owner/manager of the restaurant in the International Terminal of Vientiane airport supports the same Australian Rules (AFL) football team as me, the West Coast Eagles from Perth, Western Australia. Speaking of airports, both my flights to and from Laos were an hour late, which is apparently not unusual according to one regular traveller that I talked to, so if anybody is flying this route perhaps best not to make any connecting flights too close ! But I’m back in Bangkok, with my ED education visa approved, now I’ve just got to wait until the next thai language course starts in January as the class starting this month is already full. 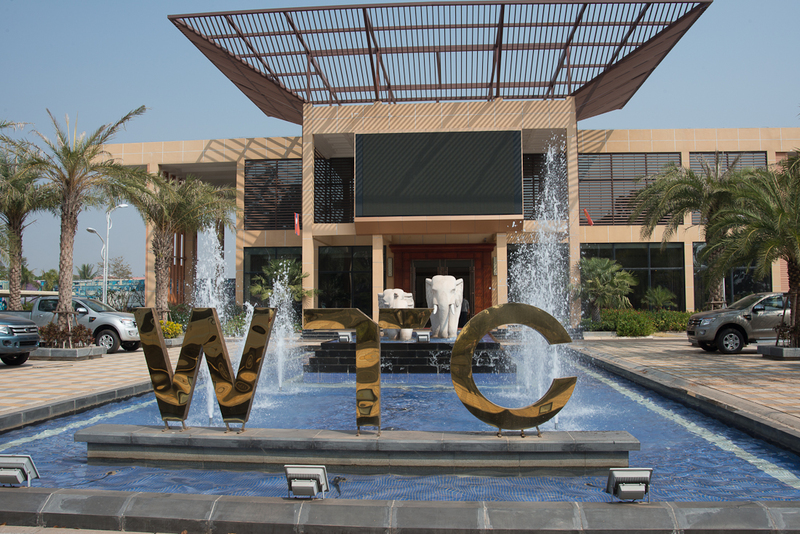 The political situation here seems to have calmed down now that an election has been called for February but we will have to wait and see what happens if the “wrong” side wins ..and there is sure to be a “wrong” side in somebody’s opinion. Life is never boring here in the Big Mango ! This entry was posted in Laos, Photography, Random musings, Travel, Travel and tagged AFL, Laos, Vientiane, West Coast Eagles. Bookmark the permalink.